Kit your team out in classic, professional adidas style with the adidas Nova 14 Kids Teamwear Shorts in Cobalt White and Black. 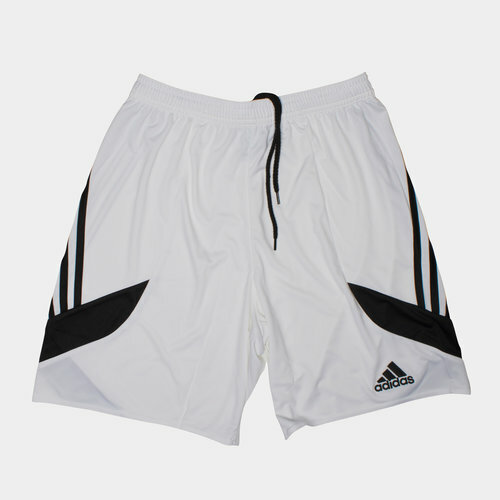 These children's teamwear shorts, ideal for a variety of team based sports, including rugby, have a plain and simple look that features the iconic three stripes of adidas down each leg, elasticated waistline and drawstrings for a secure and comfortable fit. Minimal in design, they're ideal for customising with your own club's prints and embroideries. 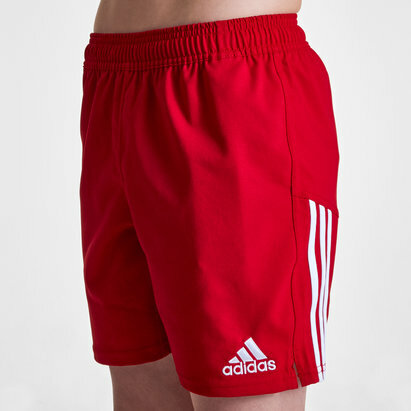 Made from 100% lightweight recycled polyester material, these kids team shorts include adidas Climalite technology within to help ensure the wearer stays feeling cooler, drier and more refreshed when in action by absorbing moisture and quickly evaporating. Breathable fabric also enhances this cooling effect by improving air circulation inside. 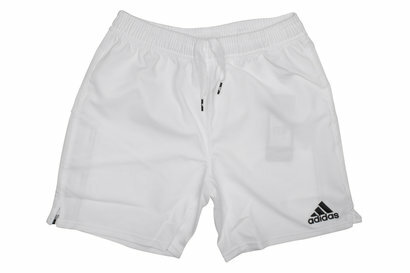 Treat your team to a high quality kit they can feel proud to take onto the pitch with the adidas Nova 14 Kids Teamwear Shorts in a classic White and Black combo.